News of the Marbella court case being taken against three former Chief Executives of MRI Overseas Properties has filtered into the Irish media. The following report is from yesterday’s Irish Independent, written by Fergal MacErlean. The picture accompanying this piece is that of Brendan O’Dell and Elizabeth Egan, two Irish clients of MRI who were in Marbella to state their case. He said that an additional claim, totalling €15m, is being prepared on behalf of 200 Irish and British MRI customers claiming that they lost large sums in upfront fees. The initial complaint regarding furniture was referred to a Marbella court and is being heard by Judge Beatriz Gomez-Escolar at the Court of Instruction. Under Spanish law, individuals can initiate criminal procedures in some cases. The judge will now decide whether Mr MacAnthony and five other defendants should face the charges of “misappropriation of funds and theft by swindle”. Among those wielding placards outside the Marbella court were claimants Brendan O’Dell (52), who works for a pharmaceutical company, and his partner Elizabeth Egan (52), from Corofin, Co Clare. The couple paid €14,000 for a furniture pack for their Moroccan apartment which they claim was never delivered. “It’s a joke. This has been dragging on for five years. Like everyone else here we are determined to get our money back,” Mr O’Dell said. 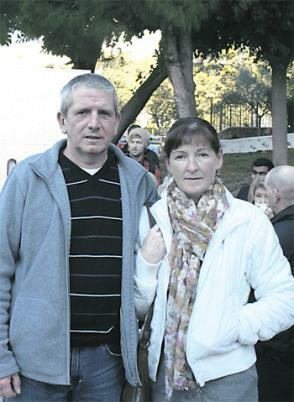 Claimants John and Muriel Andrews, from Ballycarry, Co Antrim, were also at the court. They paid MRI €29,900 in advance for two furniture packs, for apartments in Cape Verde, which they claim have never been delivered. In relation to undelivered furniture, the company has said the 2008 property crash forced several of its furniture suppliers out of business and it had to engage new ones — effectively paying twice for the same furniture order. Also accused in the Spanish case are former MRI CEOs Michael Liggan and Dominic Pickering, Sarah O’Callaghan, and Nicola Shaw, a former director of MRI Ireland. The defendants face up to eight years in jail if convicted of the charges.